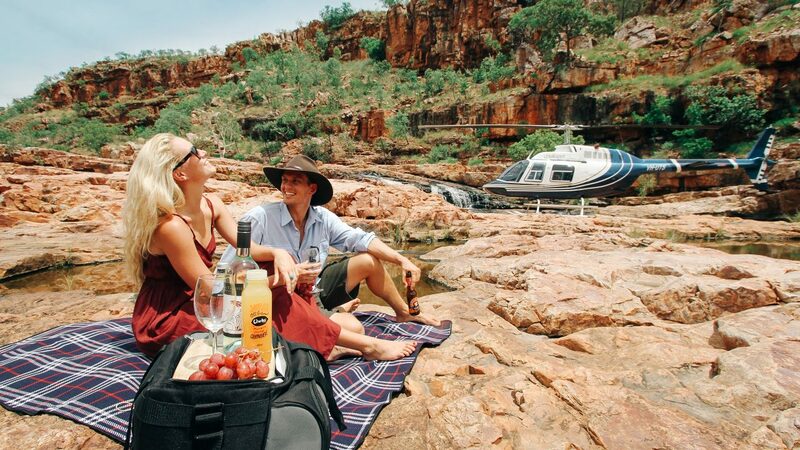 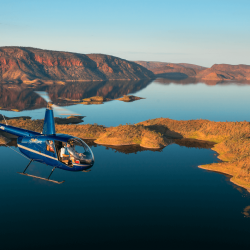 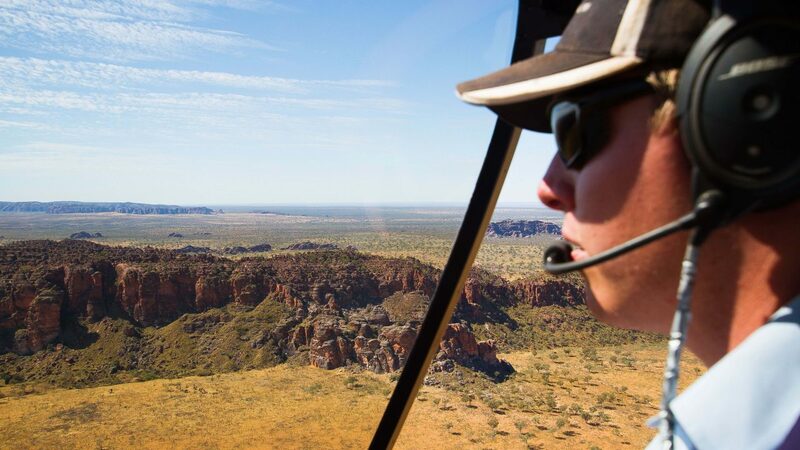 Indulge in the ultimate experience of flying by helicopter over the Bungle Bungle and Lake Argyle on an Epic Kimberley helicopter adventure. 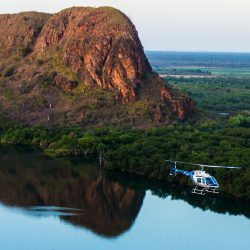 View the beautiful setting of the town of Kununurra, nestled under Mirima National Park and curled around the bend of the Ord and Lake Kununurra. 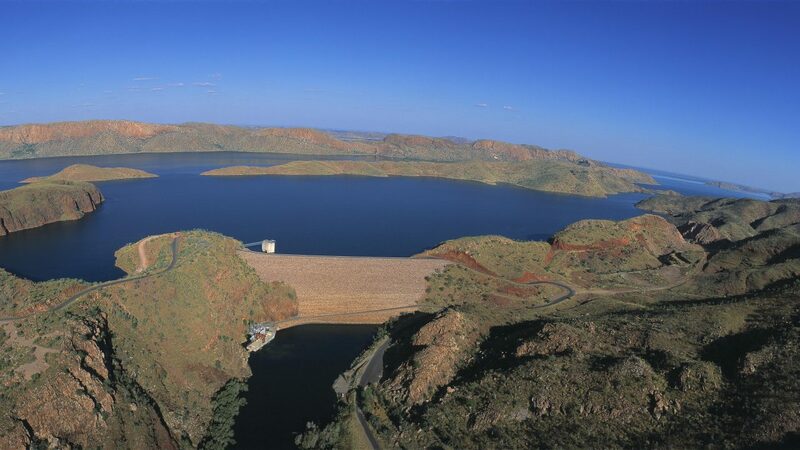 Learn about the Ord Irrigation Scheme and view the varied crops in the Ord River Valley. 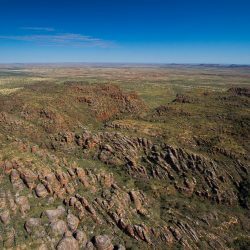 Fly past Carlton Ridge (Sleeping Buddha),through Carlton Gorge, over the Carr Boyd Range and the upper reaches of the Mighty Ord. 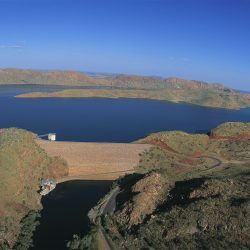 Marvel at engineering feat of the Ord Top Dam, the Ord Hydro Scheme and view the full expanse of Lake Argyle, flying along the western shore. 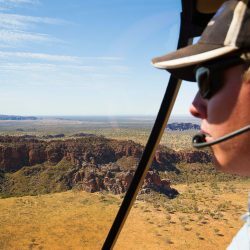 Fly through the ranges and gorge country and follow waterholes along the Ord River and Bow river. 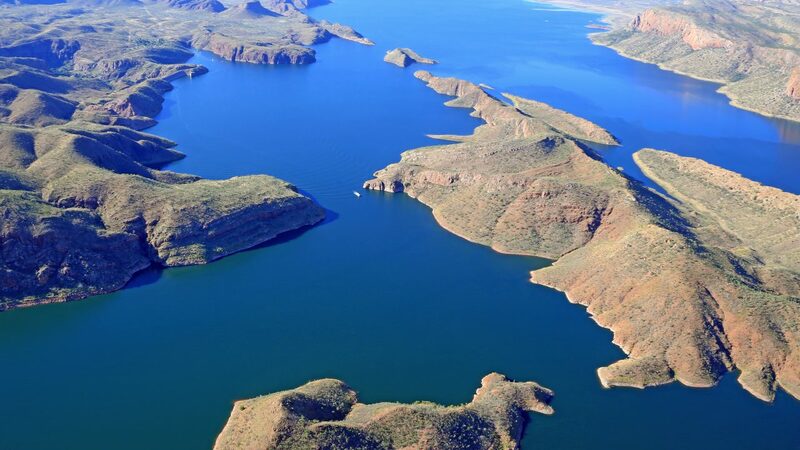 Spot cattle, donkeys and horses on vast cattle stations, not to mention the crocodiles in Lake Argyle! 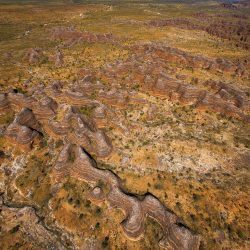 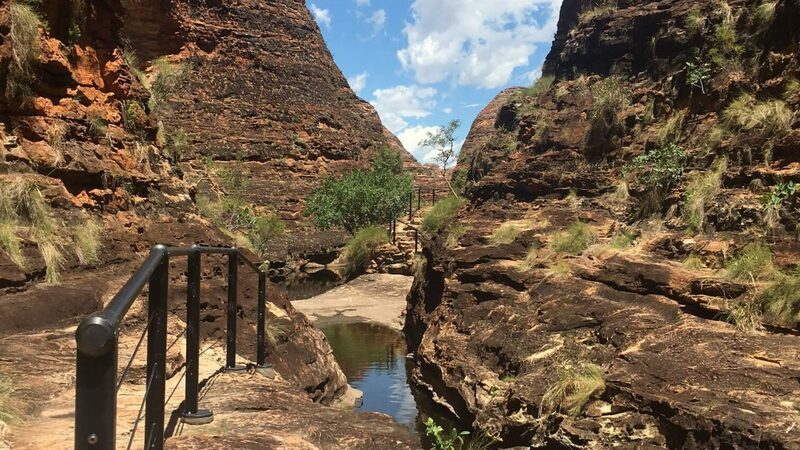 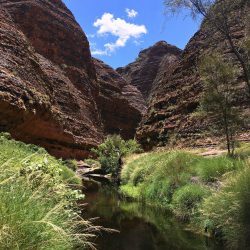 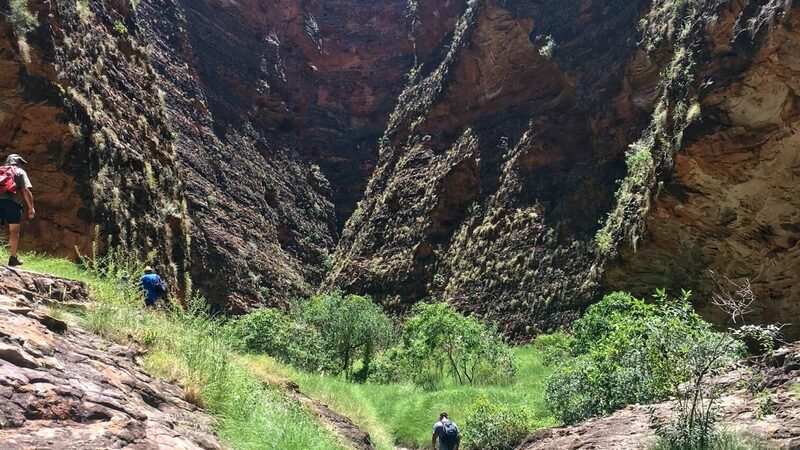 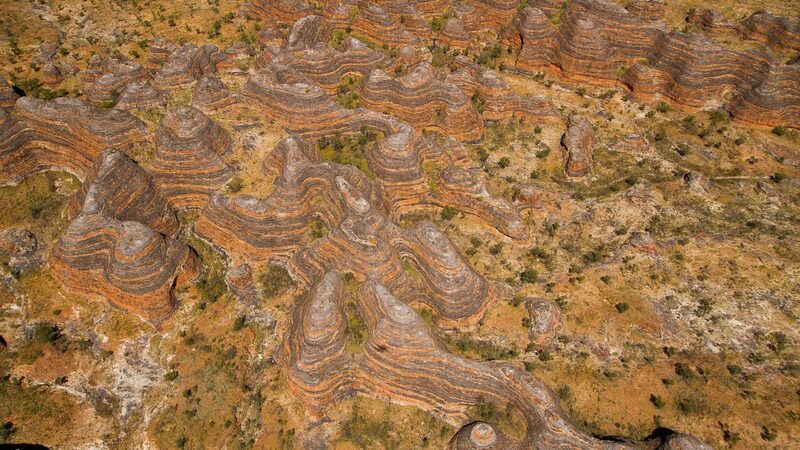 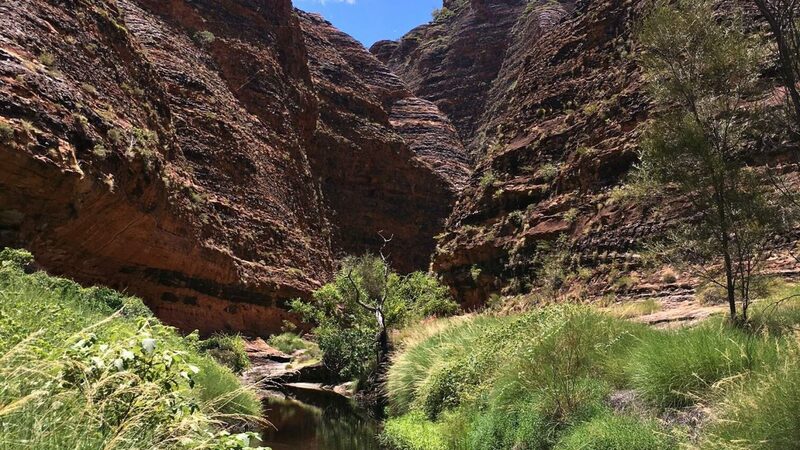 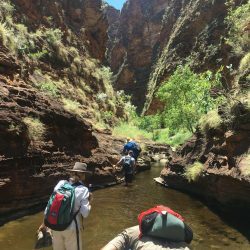 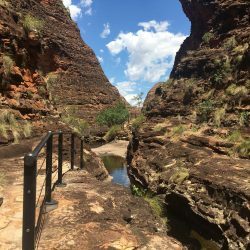 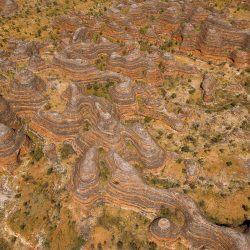 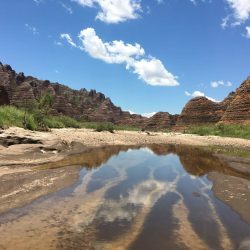 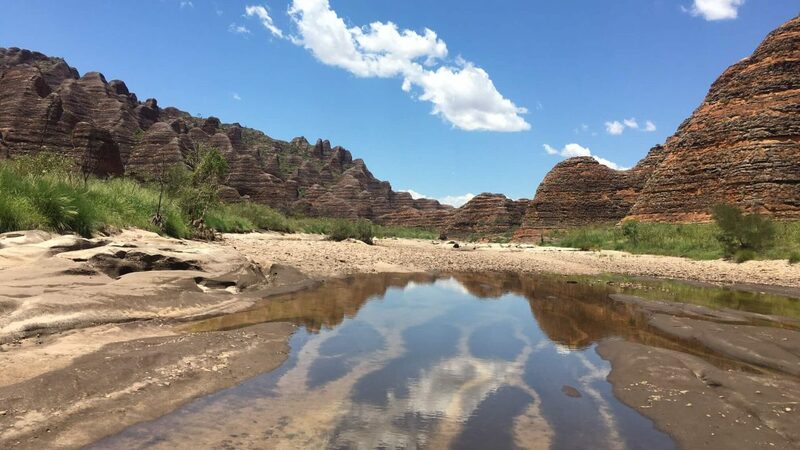 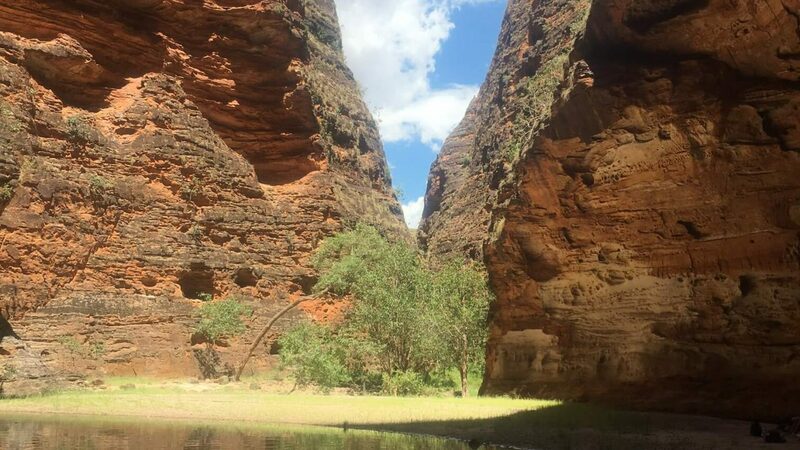 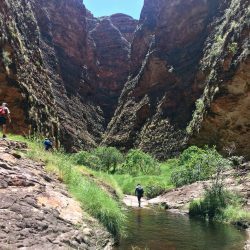 Experience the ancient Bungle Bungle Range, in Purnululu National Park.View the entire massif including the beehive shaped domes, deep gorges and striking rifts. 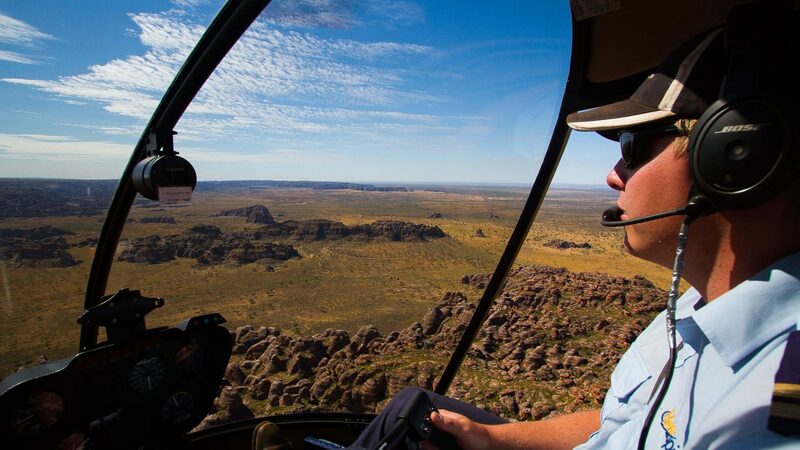 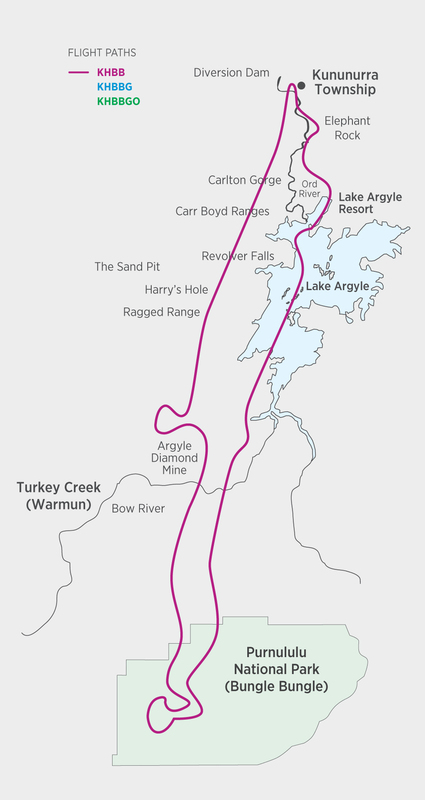 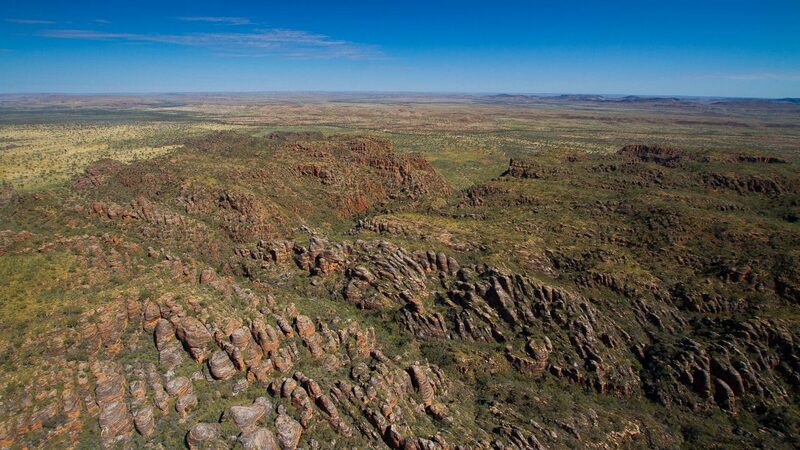 Discover the Argyle Diamond Mine, Ragged Range and Osmand Range from above. 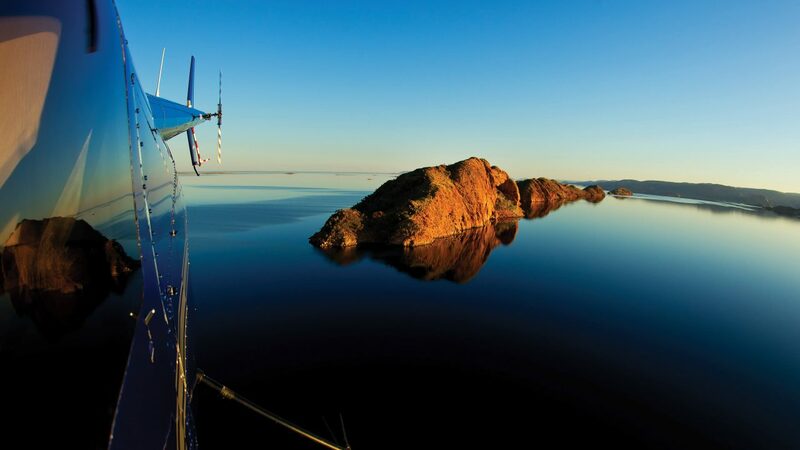 LAHBBS | Departs: Lake Argyle | Flight time: 2.5 hrs | Tour duration: 4.5 hrs | Cost: $1699 per person | May to September. 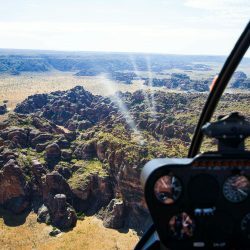 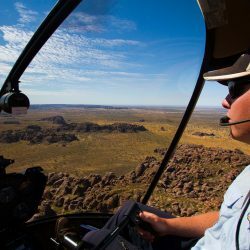 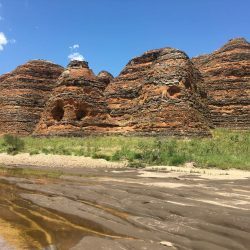 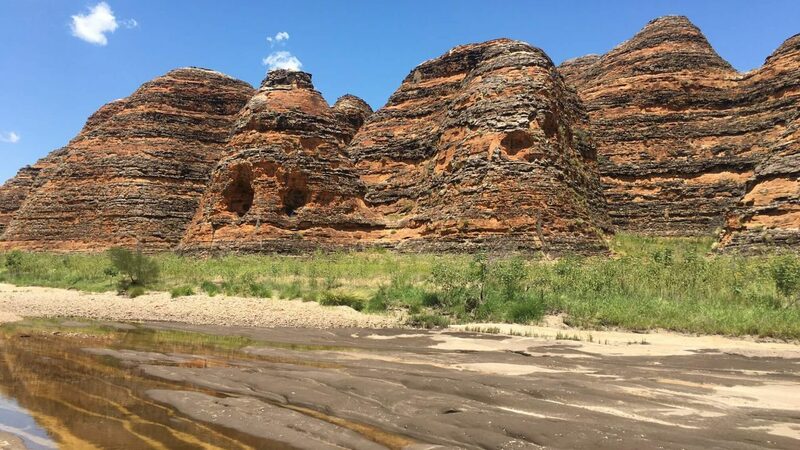 This scenic air tour includes a stunning scenic flight with the features listed above, a landing at the airstrip in the Bungle Bungle for refreshments and at a secret spring in the ranges en route to picnic and swim. 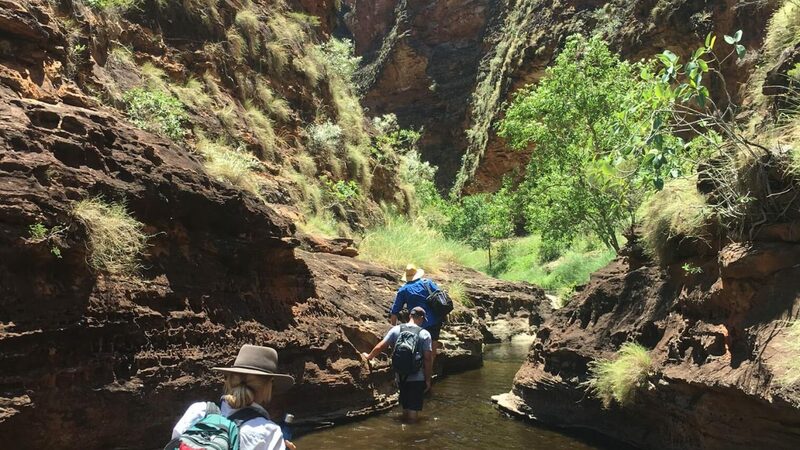 A good level of mobility is required for the short hike to the waterhole. 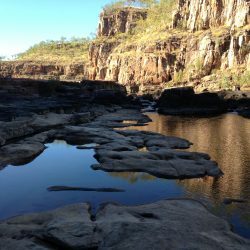 Available year-round with spectacular waterfalls after the rains in February and March. 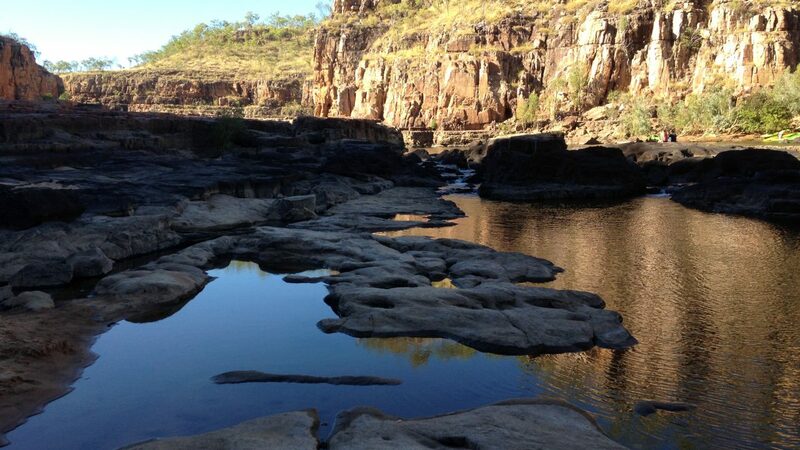 Bring your swimming apparel and wear walking shoes that can get wet. 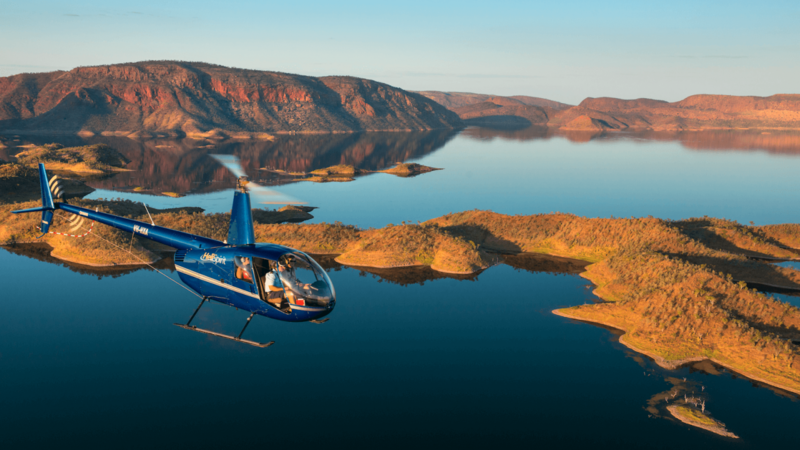 LAHBB1 | Departs: Lake Argyle | Flight time: 2.5 hrs | Tour duration: 8 hrs | Cost: $1899 per person | May to September. 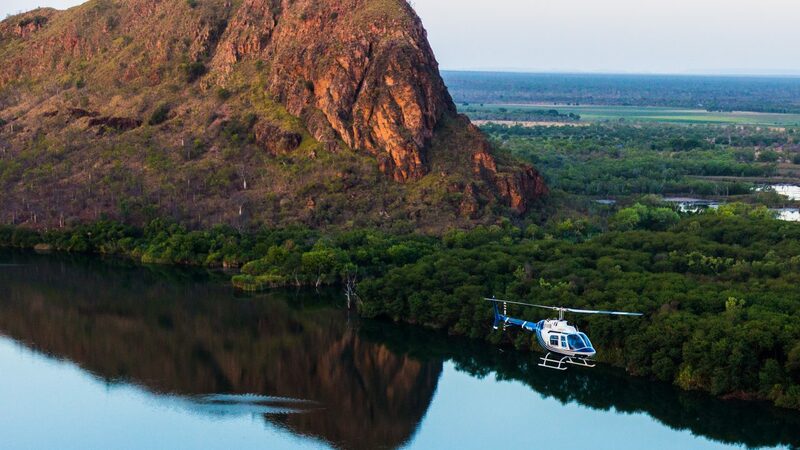 KHBBGO |Day 1 Departs: Kununurra at 6am |Day 2 Departs: Purnululu at 7.30am | Flight time: 3 hrs | Tour duration: Full day + overnight | Cost: $2699 per person | April to October . 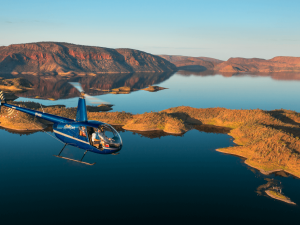 LAHBBGO |Day 1 Departs: Lake Argyle at 6.15 am |Day 2 Departs: Purnululu at 7.30am | Flight time: 2.5 hrs | Tour duration: Full day + overnight | Cost: $2399 per person | April to October . 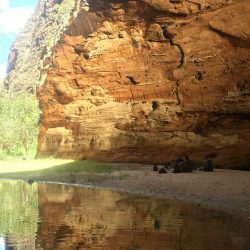 This option includes 2 private guided walking tours at the Bungle Bungle. 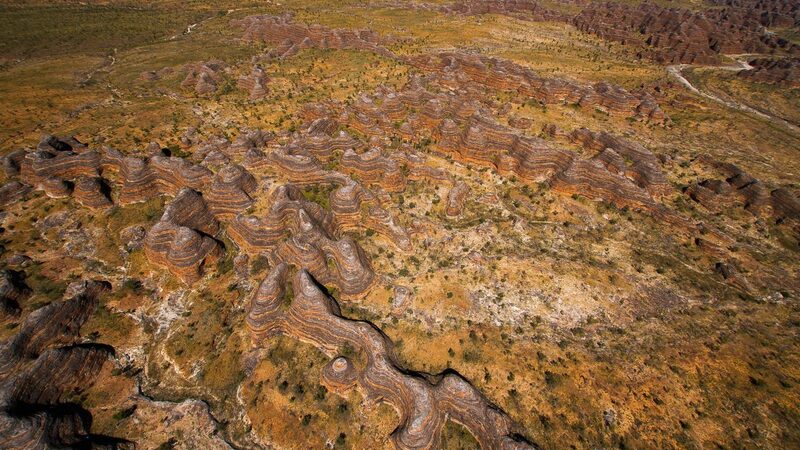 The morning tour is of the banded sandstone domes and Cathedral Gorge area. 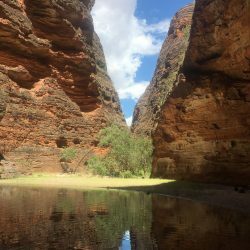 The afternoon tour is of the Western wall and Echidna Chasm. 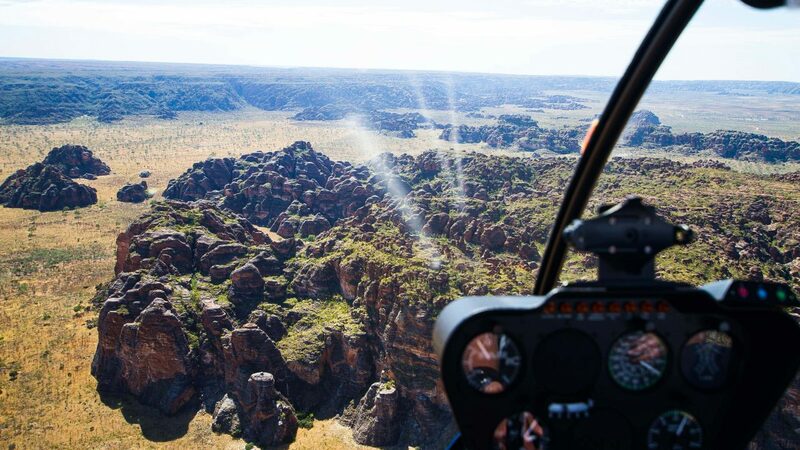 Overnight is in a deluxe ensuite cabin at the Bungle Bungle Savannah Lodge. 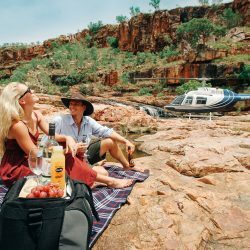 All meals are included. 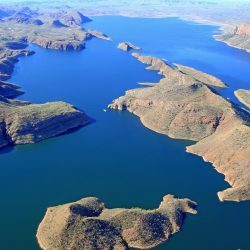 Bring your swimming apparel. 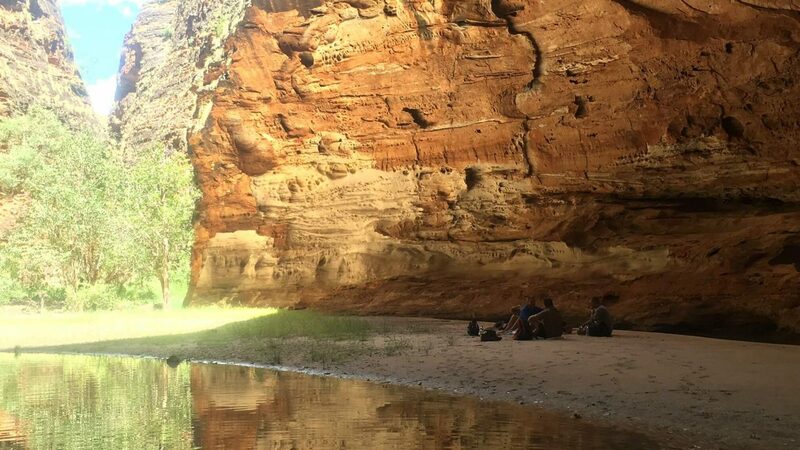 Wear walking shoes.Baggage limit is 10kg per person soft bag only. 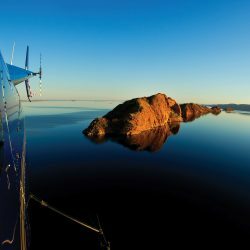 Looking North through the heads - where the boat is.